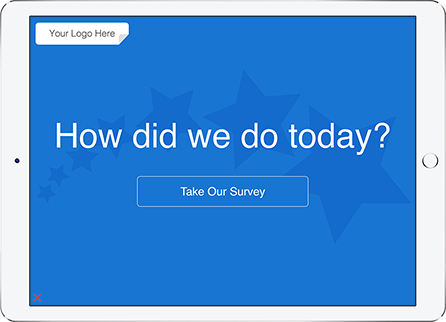 The Service Satisfaction Survey Template will help your customers and service team solicit actionable feedback well on-the-go. Are you looking for a way to measure your customers satisfaction regarding a product or service? 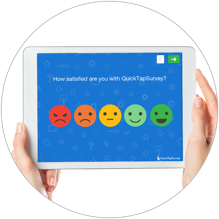 Finding a way to determine if your customers are happy with the product or service they received can be difficult but QuickTapSurvey makes the process easy and pain free. 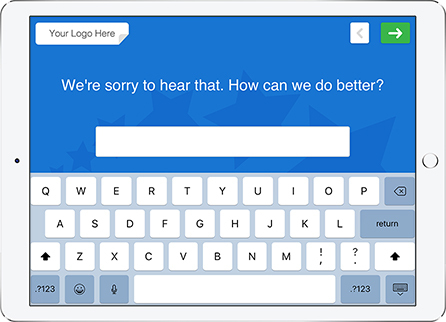 Collecting feedback helps build deep insights and improve your product or service in the future. 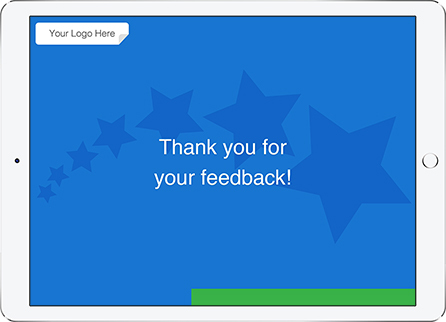 Providing your customers with the opportunity to share feedback helps resolve issues faster and improve the product or service all around. This template covers a broad set of topics in only a few questions to maximize the quality of responses and actionable data. This survey can either be completed in face to face mode or kiosk mode. For a more personal hands on approach an employee can carry the tablet around from customer to customer asking them to complete it, this is face to face mode. Alternatively, if there is limited headcount the tablet can be left unattended in a kiosk and customers can fill out the survey independently. 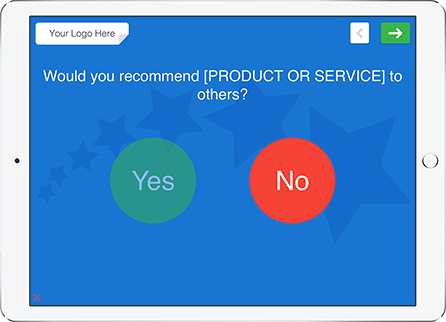 NPS stands for Net Promoter Score and is used to measure customer loyalty. Based on the survey respondents answer they will be categorized as either a detractor, passive, or promoter. From there a score is calculated based on the number of detractors and promoters. 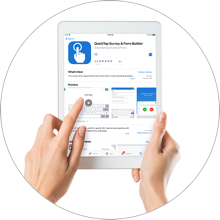 The actual calculation can be frustrating to calculate but using QuickTapSurvey your NPS score will be calculated automatically. You can compare your score to others in the industry to see how you stack up and where you can make improvements. 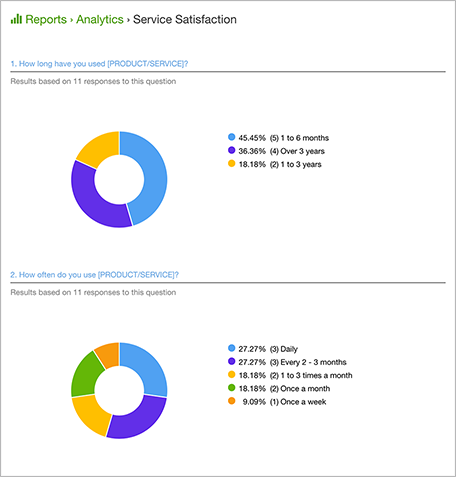 The Service Satisfaction Survey Template is fully customizable and can match any theme or atmosphere. After selecting the template you have the opportunity to alter the logo, background image, font, and buttons. This helps the device integrate seamlessly. 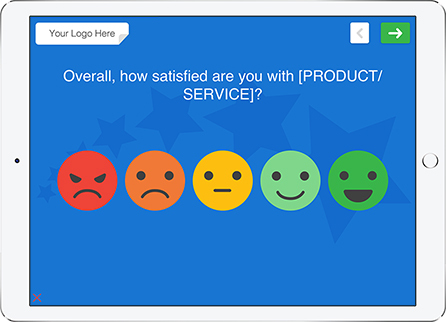 To create a new Service Satisfaction Survey select the template from the template library. 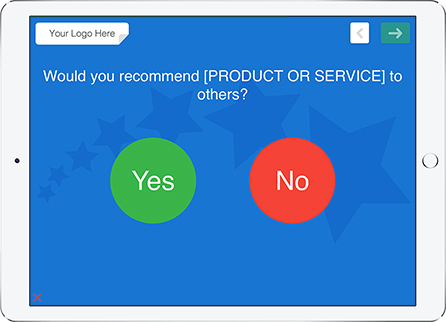 From there you can customize the survey to meet your needs including adding or removing questions and altering the background images. 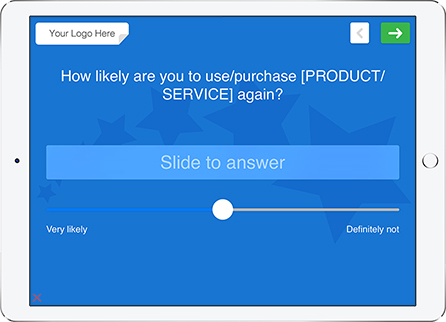 Download the QuickTapSurvey App on your phone or tablet and open the Service Satisfaction Template. 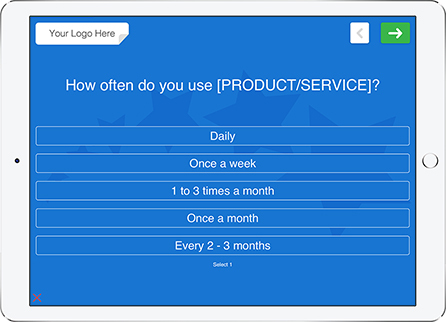 Start collecting feedback from your customers from an unattended kiosk or in face to face mode. Use our reporting and analytics dashboard to review your data. You can also generate alternative reports for further insight. 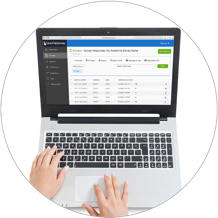 QuickTapSurvey not only simplifies data collection but data analysis as well. View all of your results online in a variety of useful reports or opt to download your data in Microsoft Excel or CSV format. 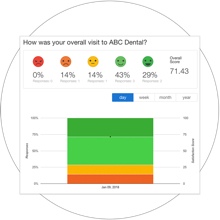 Generate numerous reports, including an Analytics report, an Active Kiosk report, NPS reports, and Satisfaction reports. Export professional PDF reports for distribution and review.